The stunning blonde at the front desk smiled and said, "Well, hi Jimmy, how ya been lover ? Long time no see." A frosty silence prevailed until the couple reached their room. Once inside, the piqued bride demanded: "And just who was THAT woman ?!?!?" 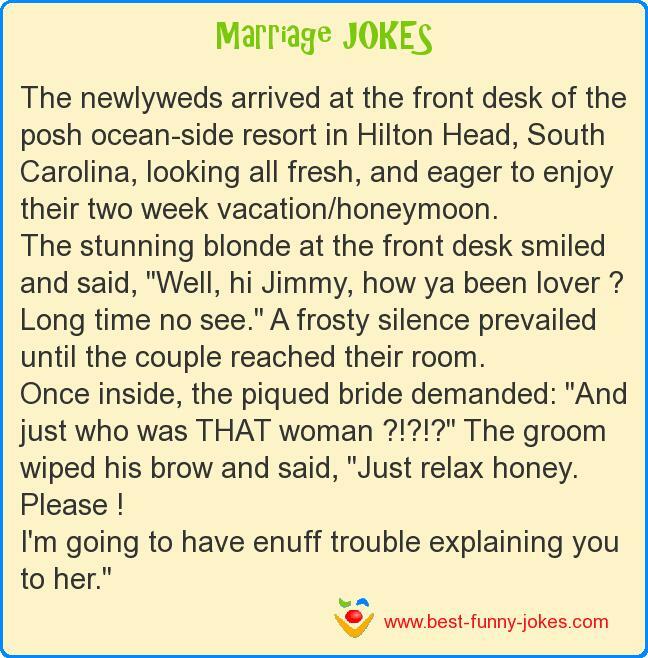 The groom wiped his brow and said, "Just relax honey. I'm going to have enuff trouble explaining you to her."